An 8×10 woodsnap photo print of your pet displayed in our hospital lobby. It’s yours to keep at the end of the month plus a blurb & photo of your pet featured on social media and our web site. 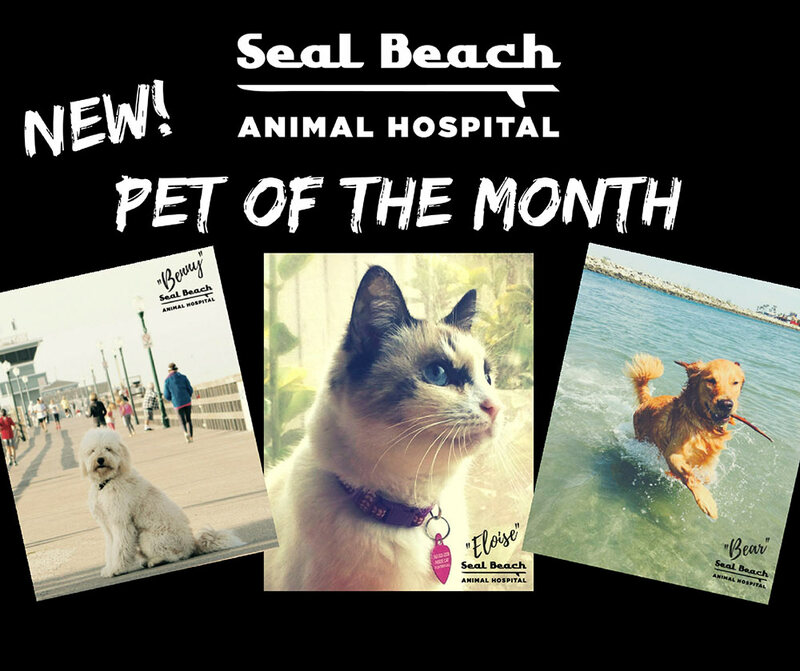 Email us (staff@sealbeachanimalhospital.com) with your favorite photo and details about your furry friend (name, breed, age). Include a story, your pets funny traits/habits, or why your pet deserves to be our “Pet of the Month”. Don’t forget to include your name and contact information.